Vestas has opened its blade production facility in Ulyanovsk, according to the Russian Association of the Wind Industry (RAWI). It will produce more than 55 blades there in 2019 that will be used in V124 turbines with capacities of 3.6MW, 3.8MW and 4.2MW, RAWI added. The manufacturer has already started production of nacelles in Nizhny Novgorod — the first production of components in Russia — and plans to set up a tower production facility in Rostov, both in the west of the country. Vestas’ global partner, Windar Renovables, has also opened a tower factory in Rostov. It plans to produce enough towers there for up to 300MW of turbines each year, the manufacturer stated. The Danish manufacturer announced its intention to set up Russian manufacturing facilities to comply with the country’s strict local content laws, after being named the preferred suppler for the 1GW capacity won by a joint venture (JV) of Finnish power company Fortum and Russian technology giant Rusnano in June 2017. Wind farms must include 65% local content, and 44% of turbine materials must be sourced locally, according to RAWI. This local content requirement also prompted Siemens Gamesa opening facilities and signing cooperation agreements in Russia in 2018. 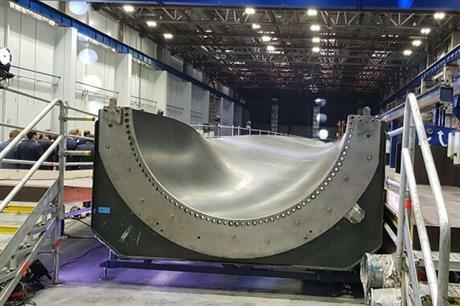 In September, SGRE signed an agreement with Siemens Gas Turbine Technologies to assemble wind turbine nacelles, hubs and drivetrains at its factory in the outskirts of St Petersburg in western Russia from August 2019.